FACT CHECK: Social Security for Illegal Aliens? Social Security for Illegal Aliens? THESE ARE THE SENATORS WHO VOTED TO GIVE ILLEGAL ALIENS SOCIAL SECURITY BENEFITS. REGARDLESS OF POLITICAL PARTY, THESE POLITICIANS NEED TO BE DEFEATED IN 2006, 2008 OR 2010 WHENEVER THEY COME UP FOR OFFICE. SEND THIS TO ANYONE YOU KNOW IN ANY OF THE STATES LISTED. THE ENTIRE POPULATION OF THE UNITED STATES NEED TO KNOW THIS INFORMATION. THAT IS UNLESS THEY DO NOT MIND SHARING THEIR SOCIAL SECURITY WITH FOREIGN WORKERS WHEN AMERICAN CITIZENS ARE BEING LEFT OUT. 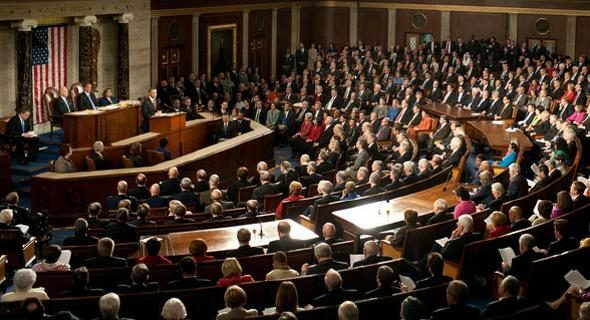 Origins: On 25 May 2006, the U.S. Senate, by a 62-36 bipartisan vote, passed the Comprehensive Immigration Reform Act of 2006 (CIRA) — a controversial bill which proponents touted as providing comprehensive and humane immigration reform, and which opponents criticized as unfairly rewarding illegal aliens by allowing them to obtain legal status. [Illegal immigrants] paid into the system simply because that was the price to pay to get a job in the United States. The immigrant knew they were using an illegal Social Security number but without regards of the impact of the victim. I have reviewed case after case related to identity theft and Social Security fraud. These cases are occurring all over the United States. In every case, in every State, where someone’s Social Security number was stolen by an illegal immigrant to use to find work, the victim’s credit history is destroyed. Sometimes their work history is too. Earlier I talked about Caleb, a gentleman in Nevada. The illegal immigrant who used Caleb’s Social Security number was not trying to harm that person but he did. Caleb applied for unemployment but couldn’t get it because the agency said he was working when, in fact, he wasn’t. He lives in Reno. They said he was working in Las Vegas. It was an illegal immigrant using his Social Security number in Las Vegas. I never said this amendment is going to prevent identity theft. What I have said is that it is not right for somebody to steal somebody else’s identity — granted for the noble purpose of getting a job — and reward the theft by giving work credit that counts towards Social Security. We should consider the victims who are forced to deal with the terrible consequences of the crime. The subject of the proposed amendment was not about giving (or denying) Social Security benefits to illegal aliens; it was about whether a select group of formerly illegal workers (i.e., those who might obtain legal immigration status if the Comprehensive Immigration Reform Act of 2006 were enacted) should be able to receive credit for payments they made into the Social Security system using phony Social Security numbers (i.e., numbers that were invalid or had been assigned to others). Such persons would still be eligible to collect Social Security benefits in the future even if this amendment were defeated; they just wouldn’t receive credit for payments they had already made into the system. It was the potential passage of the Comprehensive Immigration Reform Act that created the situation Senator Ensign’s amendment sought to prevent in the first place (i.e., allowing formerly illegal workers to receive credit for earlier Social Security payments), so the senators who ultimately voted in favor of the immigration reform act might logically be considered at least as responsible for the outcome as those who voted to table the Ensign amendment. In a nutshell, the amendment referenced above wasn’t about “giving illegal aliens Social Security benefits”; it was about whether formerly illegal aliens (who had since become legal) should be credited for monies they themselves had paid into the Social Security fund while they were in the U.S. illegally. The senators listed above did not vote in favor of this proposition; they voted to withdraw the amendment from consideration.